Sometimes, when we take on a new cause, hobby, or interest, we have to make compromises to accommodate this new pursuit in our lives. If you want to play the piano, for example, you cannot have long finger nails. If you want to be a long distance runner, you have to work hard to keep keep your body lean and strong. In today's picture book you will meet a young bunny who wants to be a ninja. He has to work incredibly hard to attain his goal, and he makes rather significant changes in his life to do so. Many of us have dreams of being something different, something heroic even. One young bunny is just such a dreamer, but he is not willing to just dream, he wants to really become “A Super Awesome Ninja.” He dons the clothing that is suitable for his new role in life, reads a book about how to become a ninja, and then he does his best to follow the ten rules of ninjadom. Rule one says that “A super awesome ninja must always work alone,” and so the ninja bunny distances himself from his bunny friends. The second rule states that he must be “super sneaky.” Of course, there are times when being sneaky is not easy. For example, if you are being sneaky while you steal some carrots in the dark of night, you should not step on a rake that is lying on the ground and clock yourself in the face. Rule two is not the only rule that can at times be problematical. Being very strong, creating ninja weapons, being able to climb things, maintaining perfect balance, being able to fly and being able to escape are all skills that have to be acquired. Over time. With care. As you learn to acquire these skills you might have setbacks. Diligently the young ninja bunny works hard to learn the rules of his craft, only to discover that there is one rule that he cannot live by. In this delightfully funny picture book we watch (sometimes wincing) as a young bunny does his best to become a ninja, and we see that the path to ninjahood is not an easy one. What we come to appreciate most of all is that even great ninjas cannot always follow every rule in the book. Sometimes rules need to be bent so that ninjas can have something that is even more precious than ninja skills. Today I am going to introduce you to a poetry book that is full of poems that are "about just about everything." The beauty of a book of this kind is that it can be dipped into at random. No matter what kind of mood you are in you will find something on the pages that will work for you, a poem that will suit you perfectly at that particular moment. Most children, at some point, want to get a pet of some kind; usually they ask for a kitten, puppy, or a bird. All too often their precious hopes are dashed when a grownup tells them that having a pet is out of the question. Or they are told that they can have a pet, but it has to be something small; an easy-to-care for animal such as a goldfish or hermit crab. In today's book you will meet a little boy who wants a dog for a pet, but who ends up with a very unusual animal instead. Edgar wants a dog; a dog he can walk and train and spend time with. A dog who will chew shoes, chase cats, and eats dog biscuits. On his birthday Edgar does not get a dog. Instead, he is given octopus called Jarvis. Jarvis cannot behave like a dog at all, in part because he is a lot cleverer than the average dog. When Edgar takes Jarvis out for a walk, Jarvis gets him an ice cream cone. When Edgar tells Jarvis to lie down Jarvis puts on his jammies, gets a teddy and a pillow, and goes to sleep. In short, Jarvis goes too far, and this drives Edgar crazy. All he wants is for Jarvis to behave like a dog. Is that too much to ask? Wanting to please Edgar, Jarvis tries very hard to be more like a real dog, and for a while he succeeds. Then Edgar takes Jarvis to the big dog show and Jarvis can “only be himself,” which means that he goes over the top and his behavior really embarrasses Edgar. After this disaster Jarvis decides to leave. In a good-bye note he says “I’m sorry I was a bad dog. Love, Jarvis.” When he sees the note Edgar realizes that what he was asking of Jarvis just wasn’t fair. Jarvis wasn’t a dog. Instead he was “the best octopuppy in the word” and now he is gone. At some point all of us are guilty of trying to change the people who are close to us, or of wishing we could change them. This book explores this idea with humor and sensitivity and we see how Edgar comes to appreciate that his pet is just perfect the way he is. Soon after I became a reviewer Sleeping Bear Press began to produce its wonderful alphabet books. What I love about these titles is that they combine poems, artwork, and nonfiction text to give readers a really different reading experience. The books can be enjoyed on many levels by readers of different ages. When I was young, summer was a time when I spent most of my time doing three things: I went to the beach, read books, and went to the swimming pool. Reading books was not something that I did because there was nothing else to do. It was something that I did because there were so many books that I wanted to read that I did not have time for during the school year. Today's picture book introduces us to some children who love books so much that it gets them into trouble! Angus, Lucy and their parents don’t have much. They don’t have a television or a car, or a house. Instead they live in a caravan and get around using a bike with a wagon attached to it. They don’t have many of the things that other people think are essential, but one thing they do have are books. The children are voracious readers and their little caravan is stuffed with books. Then one day the little caravan gives up trying to hold all the books that have been put into it. Books pour out of the door and windows. They spill on the ground, and Angus, Lucy and their parents find themselves sitting or lying in a flood of books. There is nothing for it; the books are going to have to go. Anyone who has a fondness for books will love this story. As the story unfolds we can see that books become a necessity after a while, and that books can also bring people together. When a person has books to read and to share, that person is rich and very lucky indeed. With a simple and timeless message and wonderful illustrations throughout, this is a picture book that readers of all ages will appreciate. Adults often feel that they have to provide little children with lots of carefully organized activities to do. Sometimes such activities are needed, but often all a child really wants and needs is to have someone pay attention to them. Sitting quietly with a child in ones lap to share the beauty of language with that child can be an enriching activity for both the child and for the grownup. Today's poetry title gives grownups the opportunity to share some wonderful rhymes with children in an interactive way. It is hard to imagine what it would be like to raise a child without the benefit of such wonderful little rhymes and games as Peek-a-boo, This Little Piggy, Patty-Cake, and The Eensy Weensy Spider. In this collection of "lap songs, finger plays, clapping games, and pantomime rhymes," adults who have children in their lives will find these firm favorites and many others to sing, clap to, and read out loud. For each little lap song the author includes a little information about where the song comes from, and at the bottom of every page she offers up suggestions on how to fully experience the rhyme with a child. Little children will love being lifted, tickled, or bounced, and will clap enthusiastically as the song or rhyme is sung or said. To help readers learn the songs a CD has been included with the book. Simple yet attractive little arrangements of these old songs will quickly become firm favorites with young audiences and their grown-ups. With this book in hand adults will be able to "Trot, Trot to Boston" and "Pease Porridge" on planes, trains, as they wait in a doctor's office, and as they sit cozily together at home. The book provides grownups with the means to share special moments with their children, and because of the cunning illustrations, it is also great fun to look through. Many people feel at their most comfortable when they are doing what everyone else is doing. For them, being part of the crowd is the way to go. For them fitting in is very important. However, there are quite a few people in the world who are different; who march to a different beat, and who, try as they might, cannot be like everyone else. Today's picture book is about a giraffe who is unique, and who learns that he is wonderful just as he is. Like all giraffes, Gerald had a long neck and long, thin legs. He was very good at reaching tender leaves on high branches, but when it came to running, he was rather clumsy. For some reason his knees had an annoying habit of buckling. Generally Gerald’s clumsiness was not too big an issue but when it was time for the Jungle Dance to take place, his awkwardness was a huge problem. All the animals participated in this annual event. The warthogs waltzed, the rhinos “rock n’ rolled,” the lions did the tango, the chimps did a cha-cha, and the baboons did a Scottish reel. When Gerald walked out onto the dance floor the animals all made fun of him. “Giraffe’s can dance, you silly fool” they said, and poor Gerald walked away feeling sadder than he had ever felt before. In a clearing Gerald looked up at the moon, which is when a cricket spoke up. 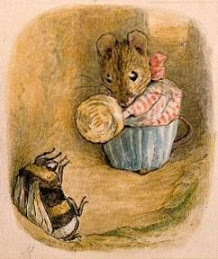 The kindly insect suggested that “sometimes when you’re different / you just need a different song.” The cricket told Gerald to hear the natural music around him, and then the cricket picked up its violin and began to play for Gerald, which is when something remarkable started to happen. If we were all the same, the world would be a rather dull place. Thankfully, we all sense and experience things in our own unique ways, which means that we don’t all dance, speak, sing, or create art in the same way. In this picture book, children meet a giraffe who cannot dance, until he discovers that he needs to find his own music and rhythm. When he does, Gerald the clumsy giraffe becomes a very different animal indeed. With a wonderful story filled with hope, and charming illustrations, this is a picture book that children and their grownups will grow to love. There are times when having a younger sibling is quite simply, a pain. Often little brothers and sisters have a limited understanding of what personal space is. They cannot fathom why their big brother or sister doesn't want them around all the time. Then there are those times when a little brother or sister does something that is kind and cute, and somehow, at that moment, the annoying times seem smaller and less important. Today's poetry title explores the relationship between two sisters and we see, to great effect, the emotional ups and downs that they experience from day to day. Sometimes having a little sister is a frustrating because your little sister seems to take over your life. People expect so much of you as well, as if what you want doesn’t matter at all. Jessica is rather tired of people saying “I’ll bet you’re / a very good big sister,” which means that they hope she is a good big sister to Emma. Why doesn’t anyone ask Emma if she is being a good little sister. No one ever does and it really isn’t fair. The truth is that sometimes Emma is a really bad little sister. There was the time when she made a scene at Jessica’s soccer game and embarrassed Jessica so much that she pretended that she had no idea who Emma was. On the first day of school in fourth grade Jessica is late because Emma put rocks in one of Jessica’s shoes. When she gets home from school Jessica finds out that Emma has created a “Big spidey web” in Jessica’s room using yarn. Of course there are those special times that only they share, and though she might not come out and say so, Jessica does value those moments that she has with her little sister. When Jessica reads her old picture books to Emma she feels as if she is “visiting / old friends.” Jessica knows that Emma loves her in part because Jessica is the only person who can remember the names of all of Emma’s rocks. When Jessica is feeling bad because she did poorly in a spelling test, Emma snuggles up to her and pats her big sister’s arm. She even gives Jessica one of her favorite stuffed animals to hold for a whole hour. So, there are pluses and minuses to being a big sister. Sometimes though, the minuses outweigh the pluses, and sometimes this means that things go horribly wrong. Using a series of wonderfully expressive poems, the author of this book captures the up and down nature of a relationship between two sisters. There are times full of friction and discontent, happy times, funny times, loving times, and really really bad times. Readers will find it easy to relate to Jessica, and they will understand how having a little sister can be both exasperating and enriching. Sometimes, when people are afraid, they do the strangest things to protect themselves, actions that make no sense to outsiders, but that they feel are justified. Today's picture book shows us how ludicrous such actions can be, and how foolish fear can make us if we are not careful. One fall day a hedgehog visits the farmyard. None of the farm animals have seen a hedgehog before and they all come to take a look at the rather unusual looking visitor. Frightened by all the noise and stares of the animals, the hedgehog rolls up into a ball. Zita, the littlest goose, suggests that perhaps the animal is startled by all the commotion, but no one listens to her. Eventually the animals get bored of staring at the “chestnut with paws” and they wander off. By the morning the hedgehog is gone, and rumors start to fly around the henhouse. The hens are very bothered by the arrival and then disappearance of the strange animal. They worry about their chicks and eggs, which they quickly check. Even when it is clear that nothing is amiss, the hens fret and fuss. The rooster, wanting to take advantage of the situation so that he can gain influence in the farmyard, announces that they should “protect ourselves against prickly invaders” He suggests that they should build a high wall around the henhouse. The hens get to work, even though the other farm animals make fun of them. The hens work and work until the wall is so high that “no one could see where it ended.” The chickens never consider that perhaps, just maybe, their wall might be a waste of time. In this wonderfully simple, thoughtful, and funny picture book the author explores the way in which irrational fears can take over if we are not careful. As we ‘watch’ the chickens build their enormous wall, we come to appreciate that there are many people in our world who, like the chickens in this story, fear what they do not know. Their fears are fed by unfactual rumors, and all too often their response is extreme. Readers will be delighted when they see how the story ends. Maybe there is a way to overcome our fears of the unknown after all.